What you you change about the current model? I could easily spend hours on this topic but this subconscious response is not a bad ‘top four things wrong with networking’. Most vendor training is focussed on devices. Branded certification/education exists to sell more products. Sometimes it indirect selling by helping to extract value from the technology, sometimes its direct marketing of features and functions. This focus on devices means that hop by hop thinking of networks is dominant. Here is what most engineers do not understand: While IP path selection is hop-by-hop, many-to-many. TCP path operations are end-to-end and applications are point-to-point. Customer value not contained in the features that matter to engineer. Value comes from almost orthogonally different values. You don’t have “a” network. Its a system of interconnected networks. There is hard to think about. Its a mental thing to think of all the things connected as a sign thing. For example, we talk about the Internet as if its one thing which it most certainly is not. Its a collection of independent systems that are independently owned and operated as a network of networks. Yet most engineers talk to their managers about the network. A routing protocol is a mechanism to configure the network without human intervention. Its automation using based on an algorithm that is built into routers. Same for a bridging protocol like spanning tree. The problem with existing protocols is that they are unpredictable. In fact so unpredictable that we limit network designs to minimise the impact of the protocols. Used a switch stack or chassis ? Most likely you did this to reduce spanning tree problems or to reduce the number of routers in the network. In fact you spent huge amounts of money on a chassis because the protocols are so bad. Self-configuring systems are a weak technology. They are also proven and well understood. But thats no excuse for using a bad solution . An emerging problem that I am very concerned about. 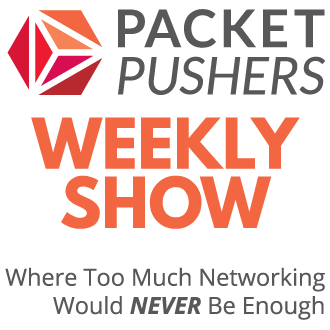 How many SDN controllers will you have in five years ? 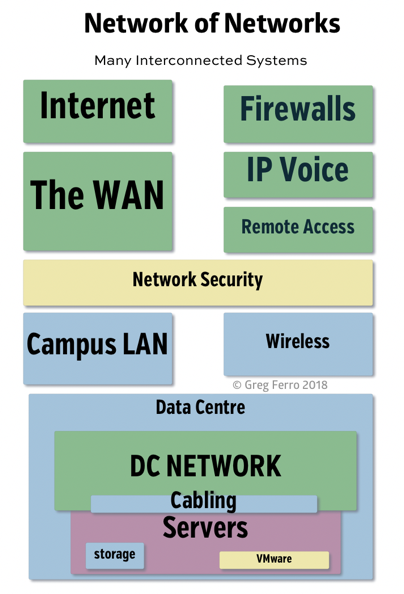 My concerns is connectivity and co-ordination between these SDN controlled networks because there are zero standards on interoperability between these. None of the existing standards apply to these new systems. 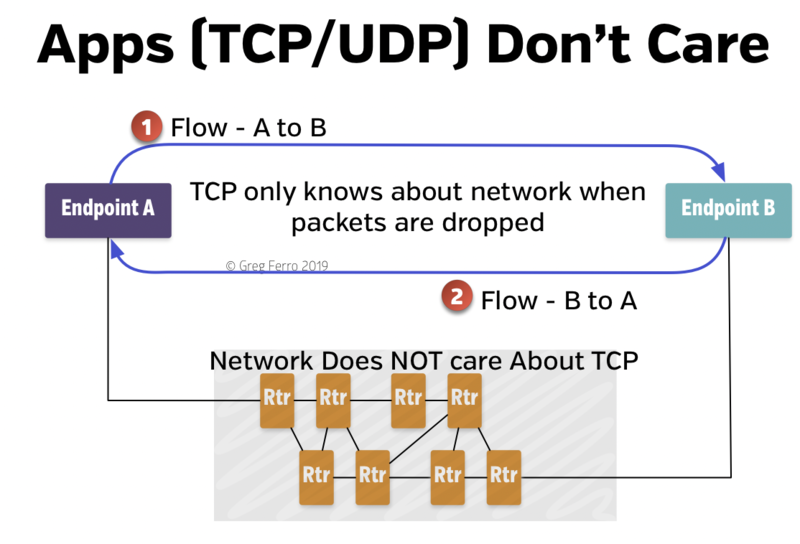 Your proposal about making the network(s) care about end to end traffic flows would violate the Internet End to End Principle. When this principle has been violated in the past (Internet Multicast, RSVP traffic engineering), scalability issues have resulted. I am highlighting the fact that IP hop-by-hop networking does not match the user experience but many engineers do not understand (nor are they taught about) the concept of TCP flows. This leads to a blind spot in user experience. 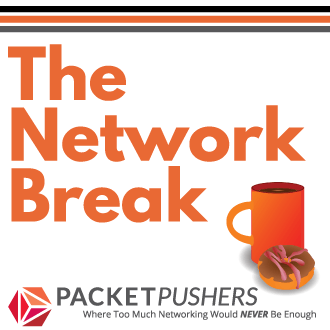 Scalability issues due to IP multicast, RSVP, etc are related to circuit-oriented design that requires state to be maintained across the network for the IP forwarding process. Again, not related to user experience or to what happens to UDP or TCP. How does Google solve these problems in its private data center networks (and for that matter in its worldwide private WAN)? Although there are many details which are not publicly disclosed, my perception from what has been widely discussed is that Google has chosen to solve a much simpler problem than traditional protocols solve, and in keeping it simple seems to have designed out some of the problems discussed above. But I could have misunderstood, or taken literally some very rosy statements.